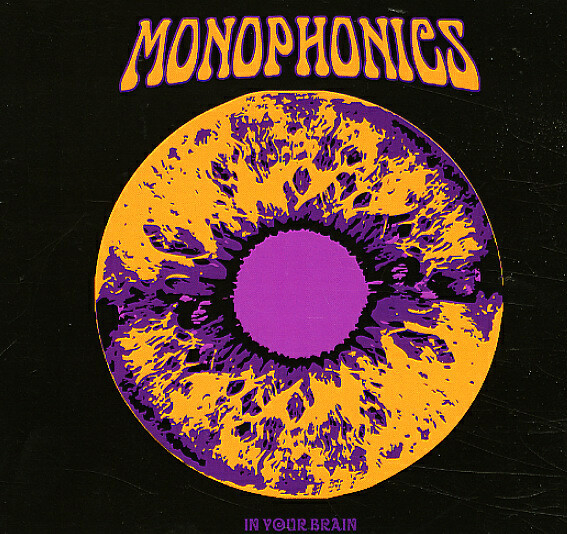 The Monophonics definitely have a way of getting inside your brain – using a cosmic slop of fuzzy guitars and funky basslines to eat away your grey matter more than a maggot inside your cranium! Yet even past that heavy Funkadelic reference, they've also got a richer vibe too – elements of 60s psych mixed in with their funk – particularly in the way that the younger generation's been re-digging crates from the early 70s these days – especially some of the more farther-flung tracks from the global underground. There's slight Afro elements at times, garagey bits at others, and even some well-timed rhythms that help the whole thing have a good sense of focus – and save it from the overindulgence that toppled the hippie generation before they even got started. Titles include "Mirage", "Bang Bang", "Temptation", "In Your Brain", "Sure Is Funky", "There's A Riot Going On", "Say You Love Me", "They Don't Understand", and "Thinking Black". © 1996-2019, Dusty Groove, Inc.